At Fitzanything, we come to you! We believe our standards of workmanship and extremely good customer feedback speak for themselves. However, we also realise how important a decision it can be, so it’s important to sit and talk with you in your home about the options available. And moreover, we don’t charge you (well, maybe a cup of tea….) During our consultation we will bring a wide range of fabric books and measure up for anything your planning so we can provide you with your estimate more quickly. We ensure that all are curtains are hand sewn to a tailor made standard. We want to help create the perfect window dressing for your home. We supply fabrics from leading brands to help ensure the quality of our service. 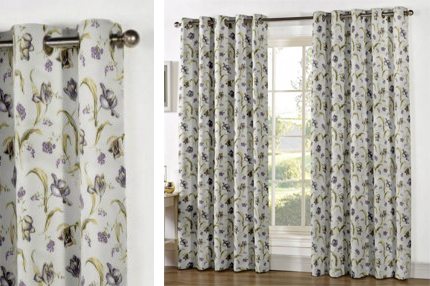 We also advise customers on linings, such as interlining curtains for that full, sumptuous look. Each commission is finished to the highest standards. 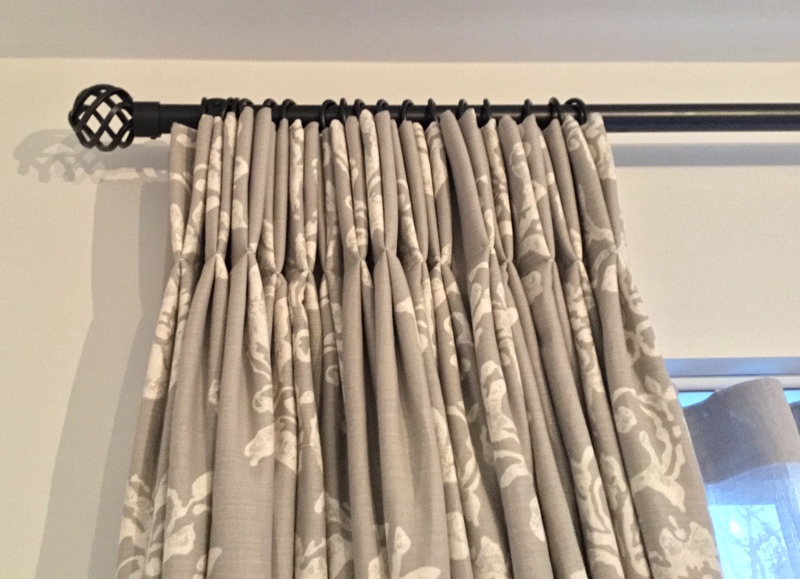 We can also make pelmets and lambrequin’s to match your curtains, which will create a dramatic, more traditional window dressing. 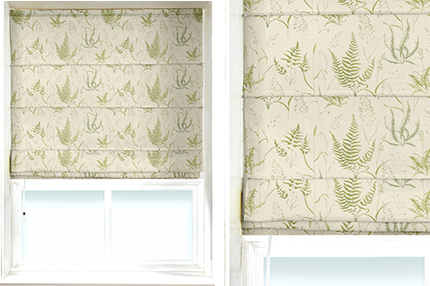 Fitzanything hand sews all roman blinds ensuring highest quality finish, and meeting the exact needs of our customers. We ensure that blinds are lined. We’ll consult to help you choose the right lining. Fully lined, interlined or black out lined, we have a finish to meet your needs. We can supply roller blinds, venetian blinds and vertical blinds to help suite your design and budget. Whether your looking for a printed design on cotton or linen, or jacquard, velvet, embroideries, sheers, or perhaps something plain, Fitzanything offers a comprehensive range of on trend fabrics from leading suppliers. 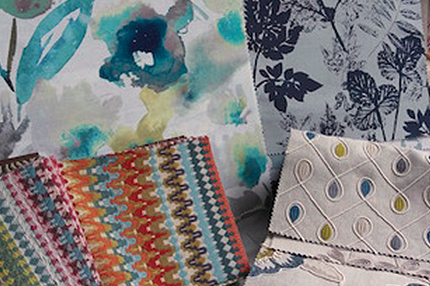 We ensure we are up to date with the latest fabric trends and attend Decorex every year. We visit the Design Centre at Chelsea Harbour regularly to keep up to date with suppliers and the latest fabrics and wallpapers. Is your favorite armchair in need of some TLC? We can transform old dated chairs, sofas, stools etc into more contemporary pieces to match your new updated scheme. 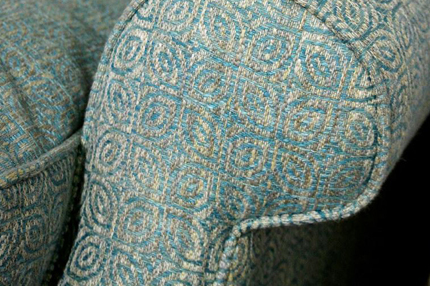 Why throw out a beautiful well-crafted piece when we can update it with some more up to date, contemporary fabric. We can also make fabric headboards to match the décor of your bedroom if required. Fitzanything offers a full re upholstery service including the consultation, fabrics, collection, refurbishment and delivery. Please email a picture of the item you wish to be re upholstered, along with measurements and we will get back to you with an estimation. Alternatively, if you’re not sure what your options are or would like to talk, please call us and we will provide some help and advice. Add the finishing touches to your room with our help. 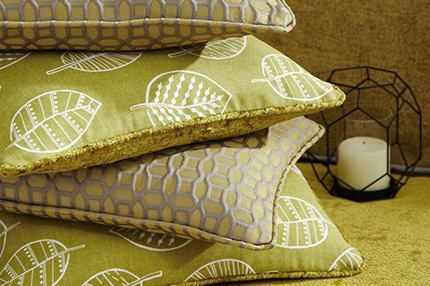 Fitanything can design and supply a wide range of luxurious, hand made soft furnishings to complete your look. From cushions, bed valances, bed throws and bed spreads to seat pads, lose covers and wallpapers, soft furnishings add colour, texture and pattern to a room enhancing its style and helping tie the scheme together. At Fitzanything we have curtain poles to suite every style and budget. From decorative wooden poles with hand carved finials to brushed chrome and glass ball finials, traditional to ultra modern electric run poles, we have something to complete your scheme. Alternatively we have a range of tracks and hanging systems. 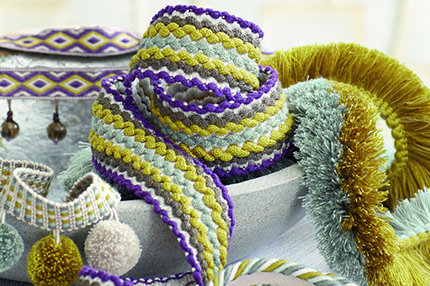 We have a great selection of braids and trim for upholstery and for curtains and blinds. By using a trimming you can add a bit of colour and texture to a simple or plain pair of curtains or blind. Also braids are a great way to jazz up a simple cushion. You can also choose the perfect tieback to compliment your curtains or maybe a holdback to match your chosen pole. You may even want to add some matching or contrasting wallpaper to a room to give it a fresh feel.